You have made a big decision and can barely contain your excitement about moving and starting someplace new. It is not the first time you have put your belongings into boxes and bags, for you have moved several times throughout your life. Most of the places you called home were located inside a neighborhood, inside a county, inside a state. But, it is the first time you are going to live in a place that is not a state, and its seasonal weather consists mainly of two parts, the wet or dry season. A mixture of hot and humid, it is warm all year round, and it is established to be a place with a tropical rainforest climate. You are heading to the northeast Caribbean Sea. That is right; you are moving to Puerto Rico. Only approximately one-thousand miles southeast of Miami, Florida, it is not its own country as many believe it to be. Instead, it is an unincorporated territory of the United States, classified as a commonwealth. We call it Puerto Rico, but officially, it is the Commonwealth of Puerto Rico. You have known for a while that Puerto Rico is the landmass where you want to place your feet, and have confirmed that you are going to live in beautiful Old San Juan. To get more acquainted with this new place you are about to call “Home,” here are ten things you must know before moving to Old San Juan. Although your mind is already made up about moving to Old San Juan, do you know why it is a great place to live, what its culture, and lifestyle is like in Peurto Rico? There are many exciting things to learn about your tropical destination. Here are some of them. “Yo no hablo español?” translated to English is, “I don’t speak Spanish.” If you do not know how to speak it now, it will not take you too long to learn this beautiful language after moving to Old San Juan. Do not worry though, as many of the locals do speak English even with Spanish being Puerto Rico’s first language. Old San Juan is a stunningly colorful and fascinating place to explore. It has a wide variety of restaurants to check out, as well as, historical sites to visit. Its abundance of shops, museums, open-air cafes, and plazas, perfectly display its old beauty. There are a lot of markets, coffee shops, bars, and beaches to try. It is apparent; there is much to do when you live in Old San Juan. Besides the many exciting places to visit, while in Old San Juan, why should you live there? If you are looking to reside in a beautiful place steeped in history with old-world charm, then you have found it. Old San Juan is the oldest settlement within Puerto Rico and located on a small island about 35 miles from the east end of Puerto Rico. It is united to the mainland by three bridges and, to the north, is the Atlantic Ocean. With its narrow, blue cobblestone streets, and stone buildings, it feels like you have traveled to a completely different space in time. What some do not realize is that Old San Juan is a 500-year-old neighborhood that was initially conceived as a military stronghold. To fully see its history, hop on the free trolley service to get from place-to-place or find a tour guide. You can even rent a bicycle to explore at your own pace. 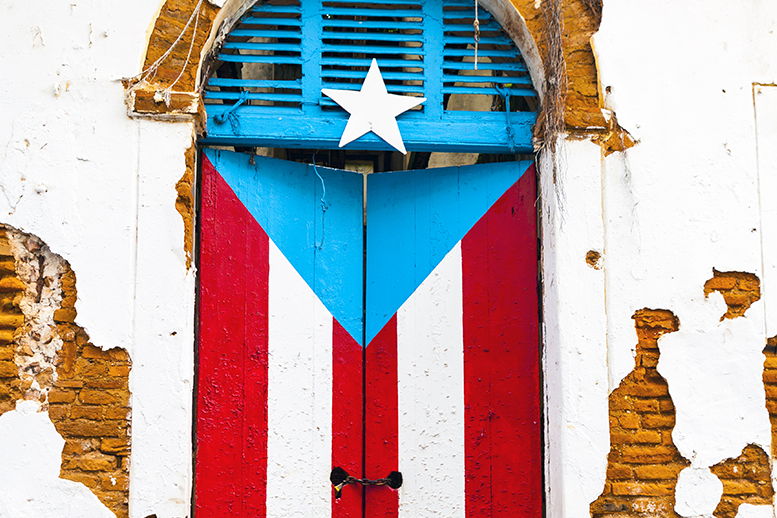 Many consider Old San Juan as the epicenter of culture, music, food, and traditions. Its warm and vibrant culture celebrates the Caribbean lifestyle with great entertainment, dance, food, and drinks. Locals enjoy year-round cultural events, and it is not unusual to hear the sounds of salsa music fill the streets. There are several shops where you can find locally made masks and handcrafted furniture. Due to its long history and colorful lifestyle, Old San Juan has become a great tourist destination, and it consists of many locals passionate to call this place home. If you are looking to take your love of food to a whole new level, then you will be pleased with the sultry flavors of Puerto Rican food. As Puerto Rico is widely recognized as the gastronomic capital of the Caribbean. You will certainly get a taste of the tropics in Old San Juan as it offers plenty of dining options to fit every budget and satisfy every palette. The local cuisine is a beautiful mixture of tropical flavors, colors, and spices. There are plenty of traditional dishes you must try, such as mofongo and fried sweet plantains. Get ready to have your tastebuds awakened. Along with the delicious cuisine, are the drinks. Puerto Rico is the rum capital of the world and the birthplace of the Pina Colada. Or maybe you prefer a hot drink, instead. Grown deep in the verdant mountains is that of Puerto Rico’s coffee. With a bold flavor and hard to resist aroma, makes irresistible. If you are up for an adventure, you might be interested in learning that you can go on an Old San Juan Food and Coffee Plantation Tours. Your palette will never be bored with all of the different foods and drinks to try in Old San Juan. The first stop on the island’s salsa circuit is Old San Juan, as it has plenty of places where you can dance the night away. When you hear the sounds of salsa, it will be hard to resist the need to dance, so always bring your dancing shoes. Some of the places you will want to go to show your cool moves are Nuyorican Cafe and Santurce. There are also several other neat options available as many of the island’s resorts and clubs host weekly salsa nights. When you are not out enjoying the food or dancing, you will want to take a stroll atThe Parque de las Palomas (Pigeon Park). It is the perfect spot to enjoy a magnificent view of the harbor, and mountains. And yes, as the name suggests, it does have pigeons. Another beautiful park to visit is the spacious oceanside park, The Luis Muñoz Rivera Park. With its towering trees and landscaped gardens, it too is a great place to walk. Some parks have places where you can jog, play baseball, and tennis. You will find yourself regularly packing a picnic or grabbing an ice cream and heading to the park. When not out for a stroll at one of the parks, you might find yourself walking through one of the many museums. One such place is The Pablo Casals Museum. Its collection includes manuscripts, memorabilia, photographs and a library of videotapes of Festival Casals concerts. Casal became the conductor of the Puerto Rico Symphony Orchestra and the president of the Conservatory of Music in Puerto Rico after moving here in the 1950s. Another spot you will want to see is Cultura Puertorriqueña (Institute of Puerto Rican Culture). There are exhibits galleries and an impressive collection of artifacts from pre-European Puerto Rico. You will see history appear before your eyes as the artifacts include pottery, stone tools and relics, and even a recreation of a Taíno village. There are plenty of other museums to learn from and to discover more about Puerto Rico. You cannot be in the tropics and not go to a beach. It is something you absolutely must do. Located just outside of Old San Juan is the San Juan Beach and resort area. It includes Condado, Miramar, Ocean Park, and Isla Verde. In this area, you will not only find beautiful beaches and resorts but, casinos, nightclubs, restaurants and chic boutiques. If you want to see sea turtle nesting sites and mangroves, then you will want to head over to the subtropical forest, Pinones Reserve. The fun never stops in Puerto Rico! One of the most celebrated and crowded festivals on the entire island is the San Sebastian Festival, which is an excellent street party that lasts for four days. Some say that this particular festival is a once-in-a-lifetime experience and compare it with Mardi Gras in New Orleans. Locals consider it to be “the must-attend” festival as it showcases local culture and traditions. Local musicians and folk dancers perform on the streets and stages. There are plenty of other festivals and events to go to, as well. There is the Rum and Beer Festival, Sangria Fest, and the Heineken Jazz Fest, to name a few. Old San Juan is also an excellent place for families and to raise children. As you know, there are many great parks and areas to fly kits and to have picnics with the family. There are also amazing attractions like El Morro. A 16th-century fortress, its construction began in 1540, and it took 49 years to complete. Named after King Philip II of Spain, the fort is a maze of barracks, tunnels, outposts, lookouts, dungeons, vaults and ramps. El Morro is only one attraction of many. Some others to explore are Castillo de San Cristobal, and Paseo de la Princesa. One great reason to move to Old San Juan is the tax incentives. Why not live in paradise and receive huge exemptions on federal income tax. It may sound too good to be true, but it is not. Have you ever heard of Act 20 and Act 22? If not, let’s get you caught up. Currently, there is an agreement which stands between Puerto Rico and the United States government. It allows Puerto Rico to offer US citizens several tax advantages that other countries cannot. American investors and corporations that are willing to relocate to Puerto Rico will pay Puerto Rico tax on most forms of income instead of a more substantial amount of US taxes that comes from claiming the US as your place of residence. Moving to Old San Juan can give you a tax exemption on certain properties, as much as 90%.. The Puerto Rican government also offers two programs, which are Act 20 and Act 22. Act 20, is also called the Export Service Act. It offers certain businesses incentives such as a low 4% corporate income tax to qualifying corporations that relocate to the jurisdiction. The second program is Act 22, also known as the Individual Investors Act. It offers investors the incentive of a 100% tax exemption on interest, dividends and capital gains obtained while residing in Puerto Rico. For both programs, you are required to be a bona fide residence and spend at least 183 days in Puerto Rico to qualify, and you will no longer be subject to US federal income tax on your Puerto Rico source income. You can have sand between your toes, a cold drink in your hand, flavorful food at your fingertips, and fewer taxes to pay (or none at all). Speaking of home, it is hard not to fall in love with the apartments and house rentals in Old San Juan. Not only are they beautiful, but they are also highly affordable, even beachfront properties. In Puerto Rico, numerous stunning beachfront homes are 50 – 75% less less than ones in Miami. Some predict that the total returns for real estate investment range from 15 to 20 percent. How sweet is that! It is recommended to discuss such prices and returns with rental agents when looking for places to rent, in Old San Juan. You want to get the best bang for your buck. There are many incredible views, places to visit, people to connect with, foods to try, and beaches, nearby, to lay on, in Old San Juan, Puerto Rico. It offers a lot of fun adventures, interesting historical facts, and money-saving incentives. No wonder you decided to move to Old San Juan, it is a fantastic place to live.